True Hope and a Future: VICTORY! 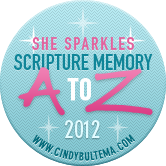 If you haven't joined us for the A to Z Scripture Memory Challenge, I'd like to encourage you to jump in now! We know that memorizing Scripture is beneficial, but I've learned there's an added bonus learning verses from A to Z - you have a reference to recall those verses already comitted to memory. Now, when I'm on hold, in a waiting room, pushing the stroller or can't fall asleep, I start going through the Scripture I've learned, verse by verse. If you've been learning along with us, I'd love to hear from you - whether it be methods of memorizing or the benefits that come from it. 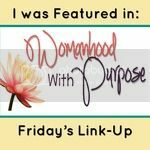 Please leave a comment so we can learn from and encourage one another! 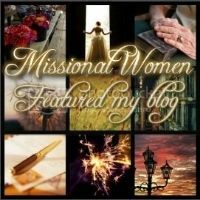 I know these last few verses have come in rapid succession, but I want to make sure we stay on pace so that we finish the challenge by the end of the year. Can you believe there are only 5 verses left? Apart from the Lord, there is no victory. We're not going to have victory in our life if we're doing things our own way or working in our own strength. No matter how hard we try, if we're doing it apart from the Lord, we won't be victorious. I love that the NIV uses the word "rests". It sounds peaceful, doesn't it? Victory is just there. No stress, no striving. Walking in step with the Lord brings victory. No plotting or planning; we just find it there. Lord, I thank you that victory is found in You. I pray you will remind me of this when I find myself straining to "make things happen" on my own, that I may know the peace of Your victory! Here are the verses we've learned so far. Won't you join us? Victory seems like something unreachable sometimes. Like it's a perfection thing. Or that we can only have it in fleeting moments. I would like to start thinking of it differently though. I sure would like some rest from some of life's challenges. Never thought of it just being there available to those who believe.